When I first got into makeup, I really stuck to the basics - a bit of concealer to cover imperfections, mascara to show that I actually have lashes (they are almost non-existent without it) and a touch of blush to make my cheeks pop. As years went by, I discovered the power of filling my brows in, having a statement lip and eventually discovering the huge difference that contouring and highlighting makes. 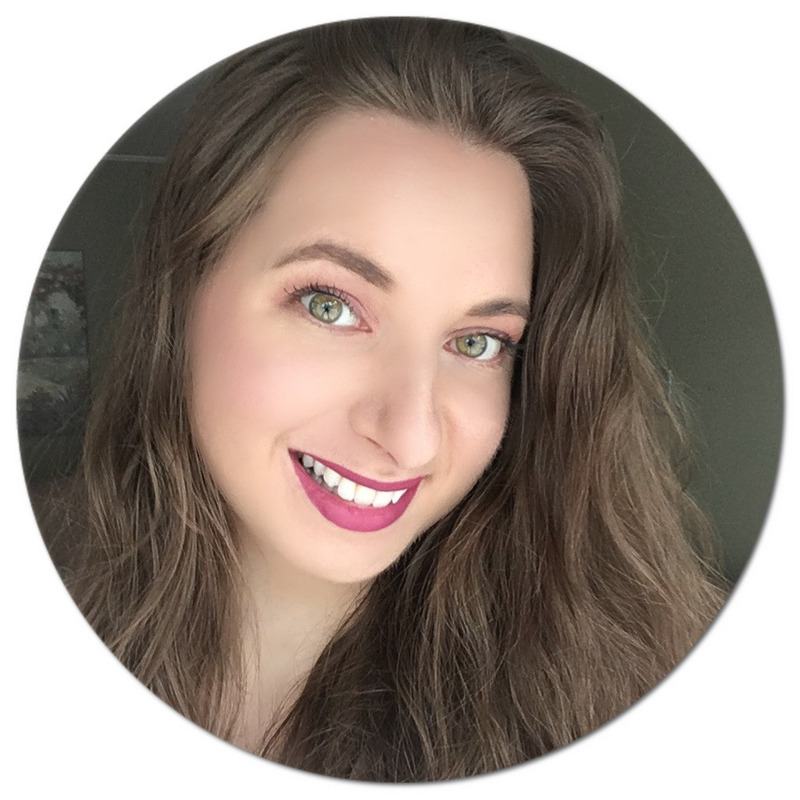 I am still far from being a pro, but I always love trying new techniques and products to step up my makeup game. For instance, I have yet to try a cream kit, so I was super ecstatic to try the NEW Make Up For Ever Pro Sculpting Face Palette in Light 20* along with their Pro Sculpting Brow in Dark Blond 20* and Pro Sculpting Lip in Carmine 40*. Interested in learning how these perform, seeing swatches and how they look applied? You've come to the right place! 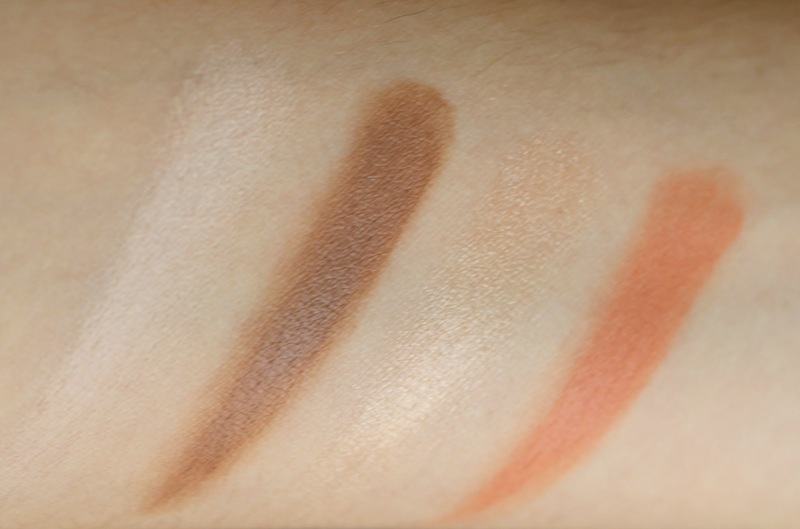 The 4-in-1 Pro Sculpting Face Palette in Light 20 (C$54.00) is the lightest in the four-shade range. Including a matte highlight, a matte deep shade, a shimmer highlight and a blush, you basically have everything you need to define your features. 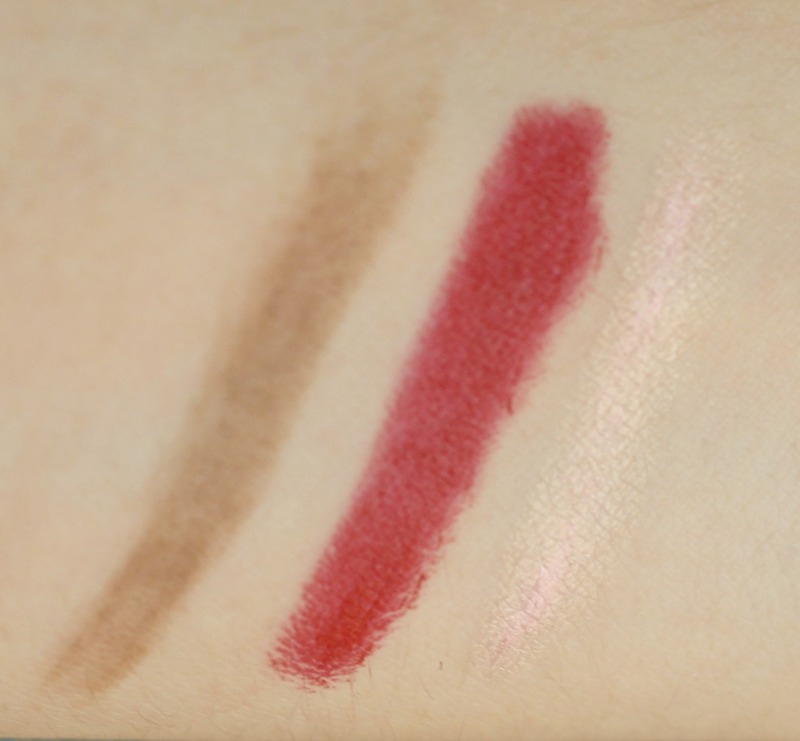 At first swatch, I was amazed by how creamy the product is without being thick or feeling sticky and heavy once applied. It is super easy to blend too, either with your fingers or a brush (I still have yet to try it with a sponge). Made with polymers, polyester oils, synthetic and carnauba waxes as well as synthetic mica and 3D polymer powders (we're getting technical here), the formula is long-lasting and also smoothes and diffuses light while still having buildable coverage. As you can see above, I used the matte highlight under my eyes and on my brow bone, the deep shade on the hollow of my cheeks, along my hairline, jawline and to define my nose and the shimmer highlight on my cheek bone right above where I applied the dusty rose blush. Since my first encounter with brow defining products, my makeup isn't complete without shading in my eyebrows. I've mostly stuck to traditional pencils and powders, so using a slanted tip pencil has been very interesting to experiment with. 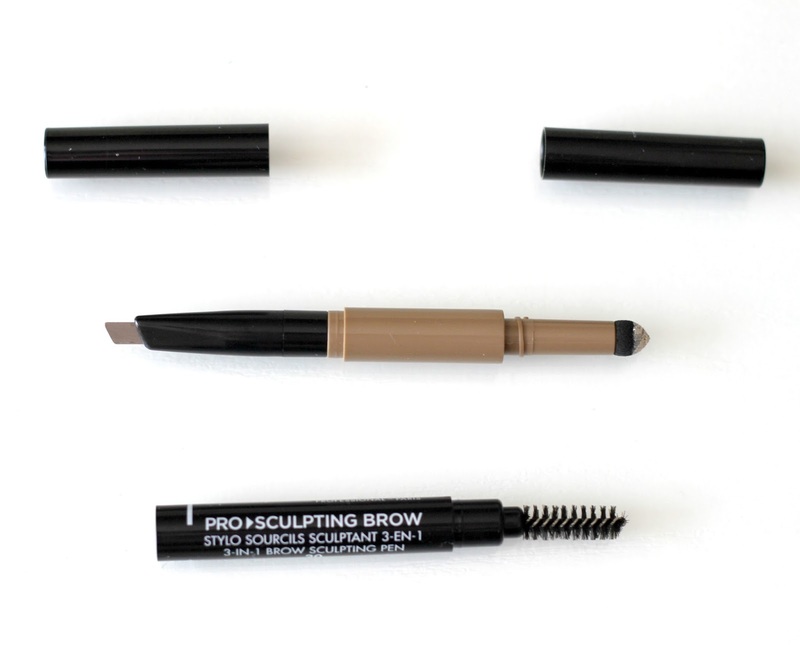 The 3-in-1 Pro Sculpting Brow in Dark Blond 20 (C$32.00), the second lightest shade from the five, is innovative to say the least: it comes with a brush, a retractable and angled fill-in colour, and a sponge tip brow bone highlight which is revealed when you twist the inside of the pencil open. Genius if you ask me! Formulated with vegetable oils, coco and carnauba wax and synthetic mica, the fill-in portion feels stiff and dry yet seems to slightly melt with light pressure on skin contact and adds just the right amount of colour. To make lips appear larger, a trend that seems to be taking the makeup world by storm is highlighting your pout. 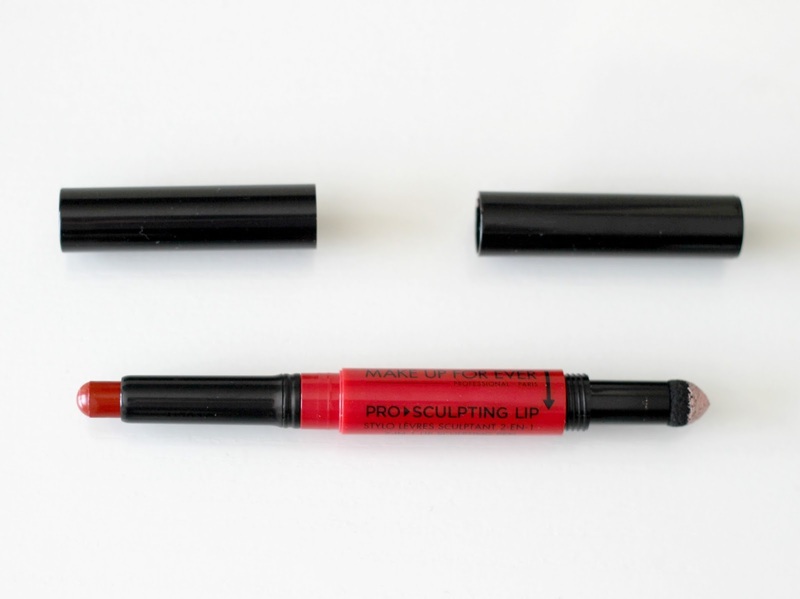 It is actually really simple to do, and the Pro Sculpting Lip in Carmine Red 40 (C$32.00) includes everything you need. On one end, you will find a creamy retractable lipstick with a satin finish, and a cream to powder highlight on the other end containing pearl pigments that will add volume when applied to the centre of your lips. 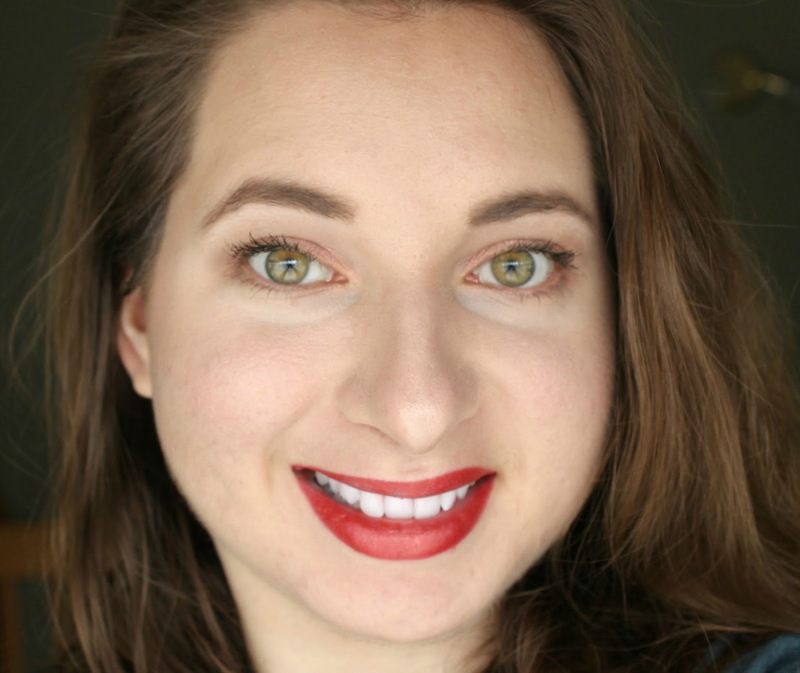 Since the lipstick has a round tip, in can be a little tricky to get a crisp outer line, so I would suggest using a lip brush if you encounter the same problem. I love the effect that the highlight gives, and the extra step doesn't require much more time in your routine. Again, it is made with polymers and synthetic mica powders, translating into excellent pigmentation and a long-lasting effect. The Make Up For Ever Pro Sculpting Collection is available at Sephora Canada in stores and online. 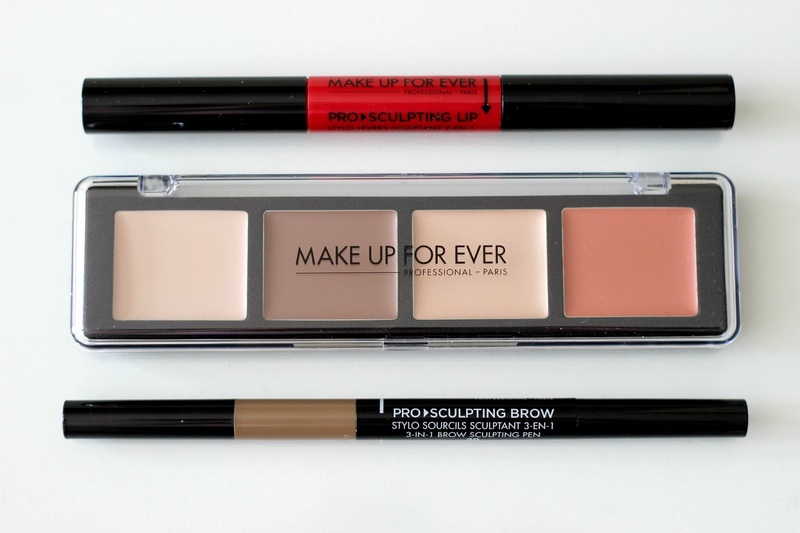 What do you think of the Pro Sculpting Line? Are you a fan of this look? 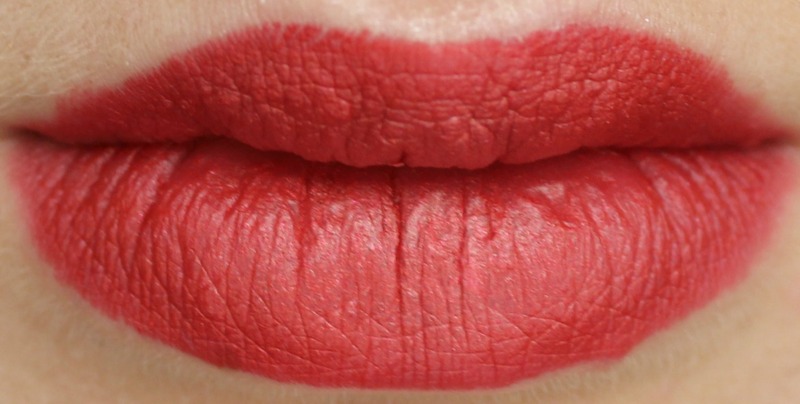 I'm interested in Pro Sculpting Lip.. Looks something different, and worth to experiment..